The country’s Balance of Payments (BOP) had mixed developments in June according to the Central Bank. It said this week the financial account of the BOP was supported by the fifth tranche of the Extended Fund Facility of the International Monetary Fund (IMF-EFF) and the third tranche of the divestiture of the Hambantota Port, however, outflows of foreign investment from the Government securities market and the secondary market of the Colombo Stock Exchange (CSE) exerted some pressure on the BOP. 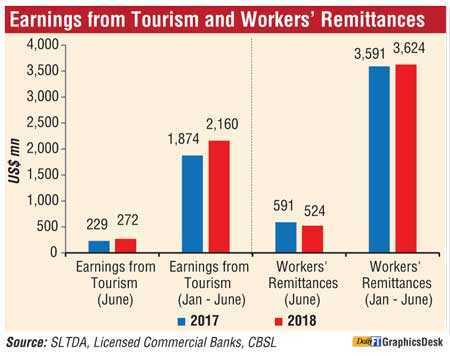 Foreign investments in the CSE, including both primary and secondary market foreign exchange flows, recorded a marginal net inflow of $0.3 million during the month of June 2018. Consequently, cumulative net inflows to the CSE in the first half of 2018 amounted to $53 million. Meanwhile, the Government securities market recorded a net foreign investment outflow of $74 million in June 2018, thus raising the net cumulative outflow to $176 million by end June 2018. Further, long term loans to the government recorded a net outflow of $115 million during June 2018. 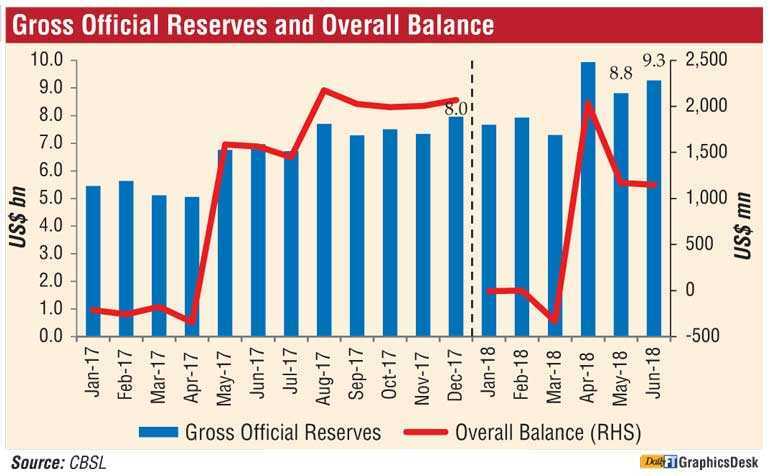 With the receipt of the fifth tranche under the IMF-EFF of $252 million and proceeds of the third tranche from the divestiture of Hambantota Port amounting to $585 million, the level of gross official reserves of the country increased to $9.3 billion at end June 2018 from $8.8 billion recorded at end May 2018. This level of reserves was equivalent to 5.0 months of imports. Total foreign assets, which consist of gross official reserves and foreign assets of the banking sector, were estimated at $11.3 billion as at end June 2018 which was equivalent to 6.1 months of imports. 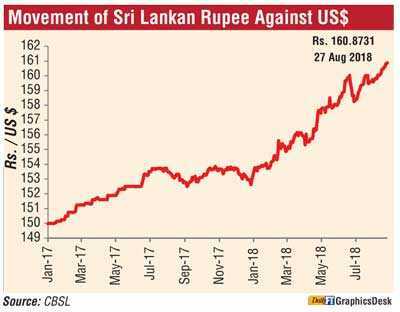 The Sri Lankan rupee depreciated by 5.0% against the US dollar during the year up to 27 August 2018. 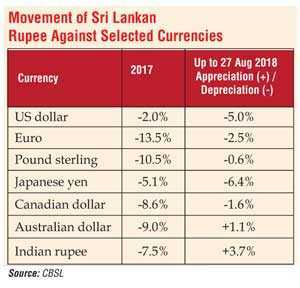 Furthermore, reflecting cross currency movements, the Sri Lankan rupee depreciated against the euro, the pound sterling, the Japanese yen and the Canadian dollar while appreciating against the Australian dollar and the Indian rupee during this period.